Artificial intelligence is advancing increasingly and is being incorporated into many business processes, and cybersecurity is no exception. Artificial Intelligence (AI) software is able to “learn” from studying the causes of past events and with this data can predict threats to cybersecurity. According to a Webroot report, AI is currently being used by almost 87% of cybersecurity professionals in the United States. These types of technology are very efficient when it comes to fighting malware. They use algorithms trained with vulnerability catalogs, so they know what to detect. They are also very flexible, they track characteristics of viruses and not their signatures, preventing cyber-criminals from camouflaging the malware. This greatly reduces the margin of error, and at the same time serves as a learning process based on these patterns. 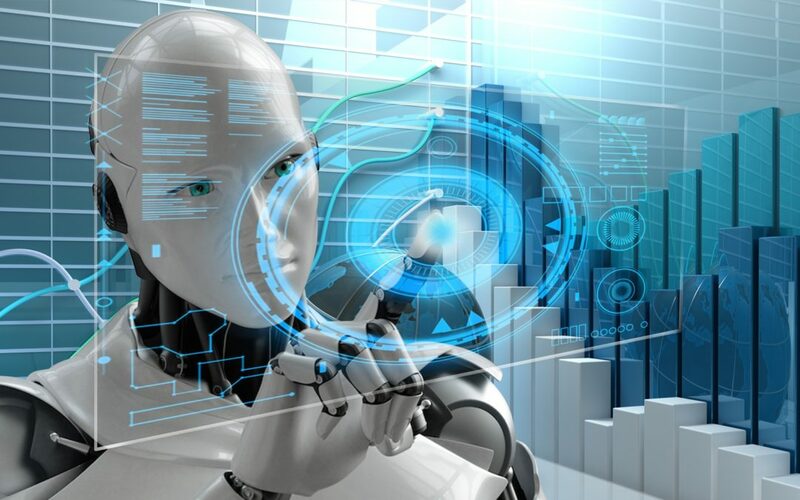 However, AI also involves its risks in terms of cybersecurity, as 91% of professionals in the sector are concerned that hackers use it to prepare more sophisticated cyber attacks. As advances are made in artificial intelligence (AI) systems, it is very likely that attacks with social engineering will be increasingly complex. Well, whether or not we want the technological advance to reach both worlds, we will witness the rise of cyber attacks based on artificial intelligence, and this translates into an epidemic spread of them. Ironically, the best way to defend against this type of attack is to use AI. It potentially could give way to an artificial intelligence arms race with worrisome long-term consequences, but mainly only if big government actors come into play. Currently, the AI can already be used to defend and attack cybernetic infrastructures. It also increases the surface for hackers looking to attack as well as increase the number of possible ways to access a system. It is vital that business leaders understand the significance of this change and how to approach it. The incorporation of AI into cybersecurity makes it possible to level the playing field for security professionals who nowadays have to make a constant defense against cybercriminals who seek vulnerabilities in their free time. Even well planned and hidden attacks could be detected and easily defeated. It is true that there is still a long way to go to achieve perfect security that uses Artificial Intelligence. For this to be successful you must be able to replicate a cybersecurity professional which includes decision making just like an engineer with a lot of experience but on a much higher scale. Before we must go through some stages of testing and allow it to mature as a technology. It is a change of paradigm, since it affects the condition of the human being similar or superior to such transcendent changes as electricity or the Internet, we can say that we are fully into the “pre-AI” era. Google says that in 2022, there will be approximately two million experts in cybersecurity, however, data suggests they will prefer to work in technological giants such as Google itself, Amazon or Apple and in Silicon Valley due to high salaries, and contain little appeal for small companies dedicated to ensuring security in the third-party network. As you see, it is impossible to answer the initial question simply in this post. Artificial Intelligence can be both an ally and enemy of cybersecurity, it depends on our usage and purpose. What is certain is that a technological change is here to stay and for which we must prepare.